The Labour Party approached EAS in late 2006 with two objectives in mind. Overall, they required a tailored system that could host their entire membership database and give them full search and segmentation capabilities, as well as the ability to communicate with their members. In addition, they wanted the capability to control accreditation, access and exclusion for all Labour Party events from within the software. 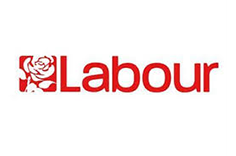 This included a requirement to integrate the system with the community police forces providing security for Labour Party conferences to be held in 2007 and beyond. EAS created a system for the Labour Party on a tight timeline that was perfectly tailored to their goals. In September 2007, following extensive collaboration with Bournemouth Police Force, the system went live at the Labour Party Conference. For the first time in a decade, delegates were able to enter the conference venues without facing extensive queues and the mockery of the national media. The accreditation process was so much improved that newly-appointed Prime Minister Gordon Brown visited EAS personally to thank us for a very successful project and event. [EAS’s] innovative and professional approach has revolutionised the registration procedures for Labour’s annual conference. Their expertise in Event Management as well as database design has enabled us to offer a first-class customer service to our delegates and visitors whilst maintaining the highest level of security. We look forward to working closely with them for years to come.